Summer in the Northern Hemisphere is just about over. This means your kids are back at school, and outdoor play will become more limited. Even though kids can enjoy plenty of outdoor winter activities when the cold weather rolls around, there will be plenty of days over the next while where outdoor play won’t be possible. Between the increased number of rainy days coming up, followed by many winter days where it will be too cold for kids to play outside – kids will need to play indoors a lot more often during this time of year. 1. Wall Climbing – There are many sports centers around that offer fun activities such as wall climbing. Kids absolutely love this sport, and it is also quite good for them because it strengthens up their muscles. At the same time, it is great for their eye-hand coordination and gross and fine motor skills development. 2. The Arcade – Take your kids out to enjoy a game of air hockey, ski ball, and other classic arcade games. And the best part about these games is that your kids could win fun prizes. These games are also excellent for the development of eye-hand coordination. 3. Laser Tag – Are your kids getting restless by being at home for too long? Do they need to run around to expel some energy? Then you will want to take your kids to any laser tag center. This activity will keep your kids on their feet for a long time, and they can even play for hours. Taking your kids for a game of laser tag will certainly help them get some great physical exercise. 4. Indoor Sports – If your kids enjoy a variety of sports such as dodgeball, basketball, or trampolining, then there are many centers that offer indoor sports. Not all kids enjoy playing sports, however, it should be encouraged. 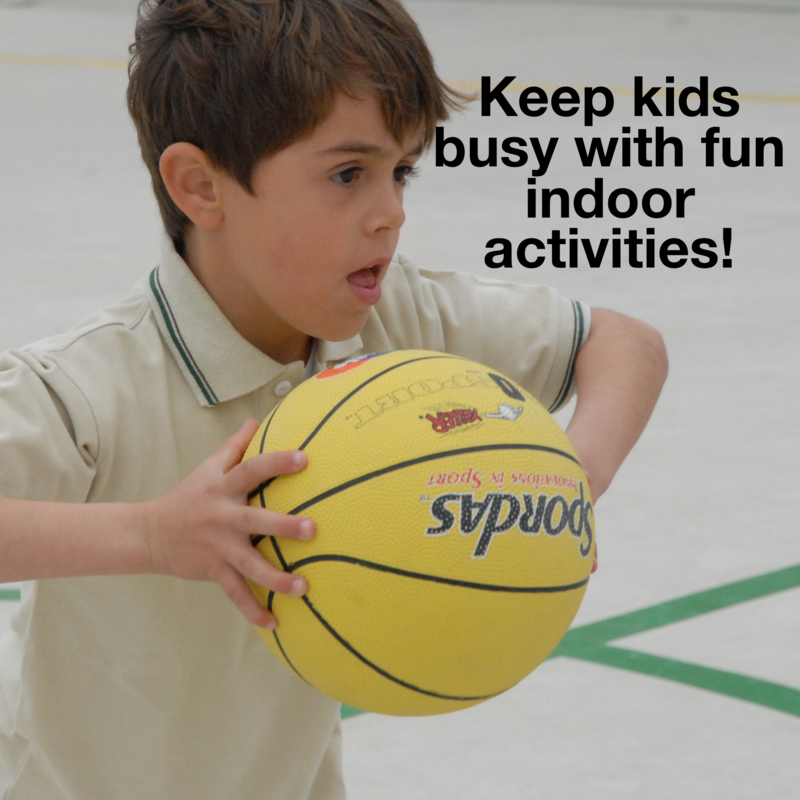 Kids not only have an opportunity to get plenty of physical exercise while playing any game, however, it is excellent for fostering their overall development as well. 5. Arts And Crafts – There will be days when the weather will be so rough during blizzards and extreme thunderstorms where staying at home is the only option. The good news is there are plenty of fun ideas that kids can utilize at home. A session of doing arts and crafts is a perfect idea during these type of days. You will want to make sure that you have plenty of items that are used for any arts and craft session. That means you will need to make sure there is enough construction paper, glue, beads, crayons, markers and paint and paint accessories. Even though summer is coming to an end, and that there will be fewer opportunities for kids to enjoy outdoor play- your kids can still stay as busy and active. There are so many ideas and facilities around for your kids to enjoy some fun indoor play!